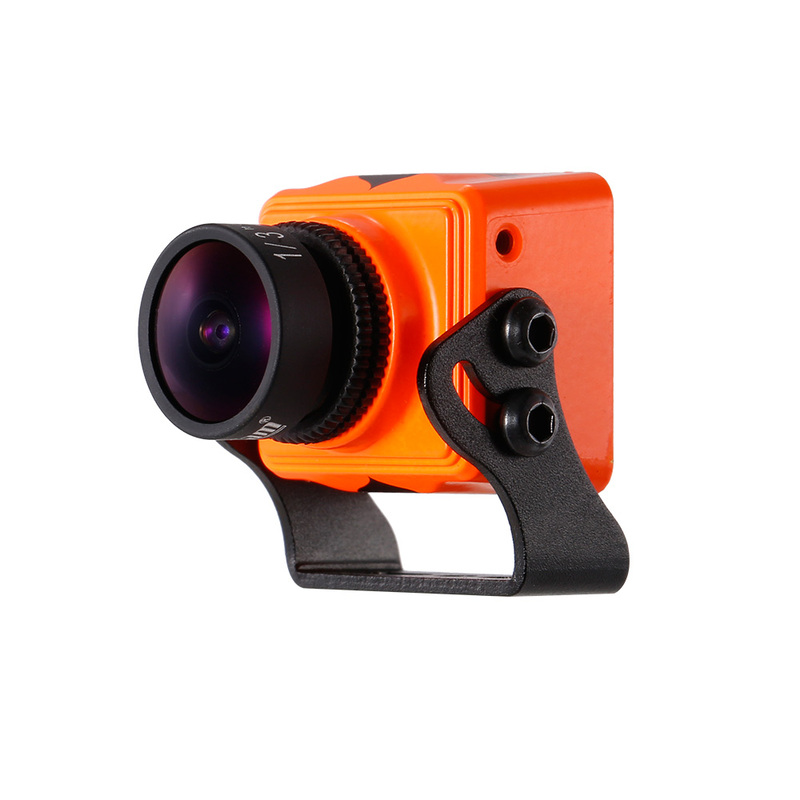 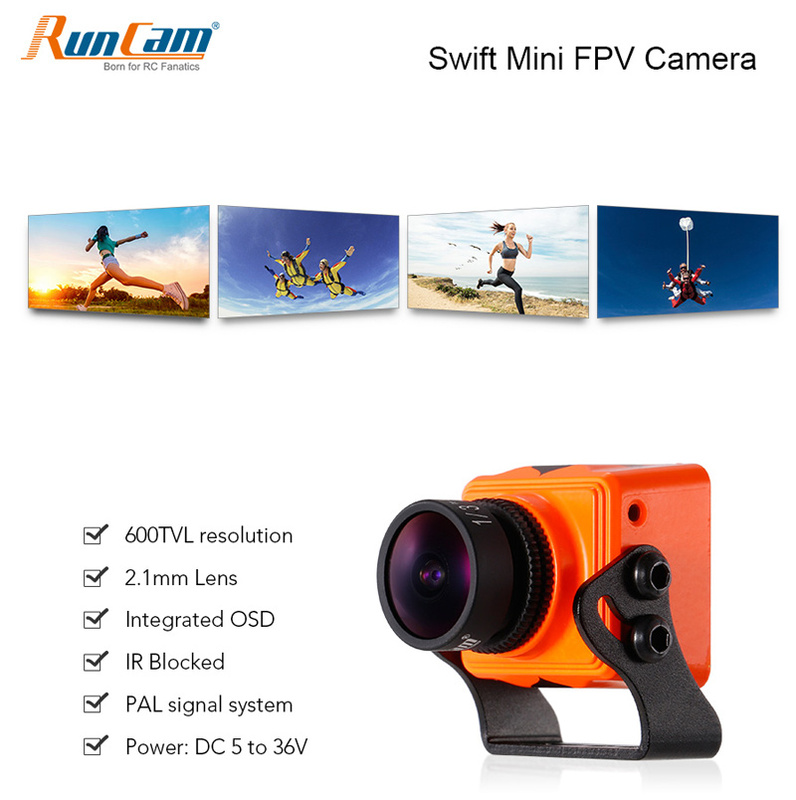 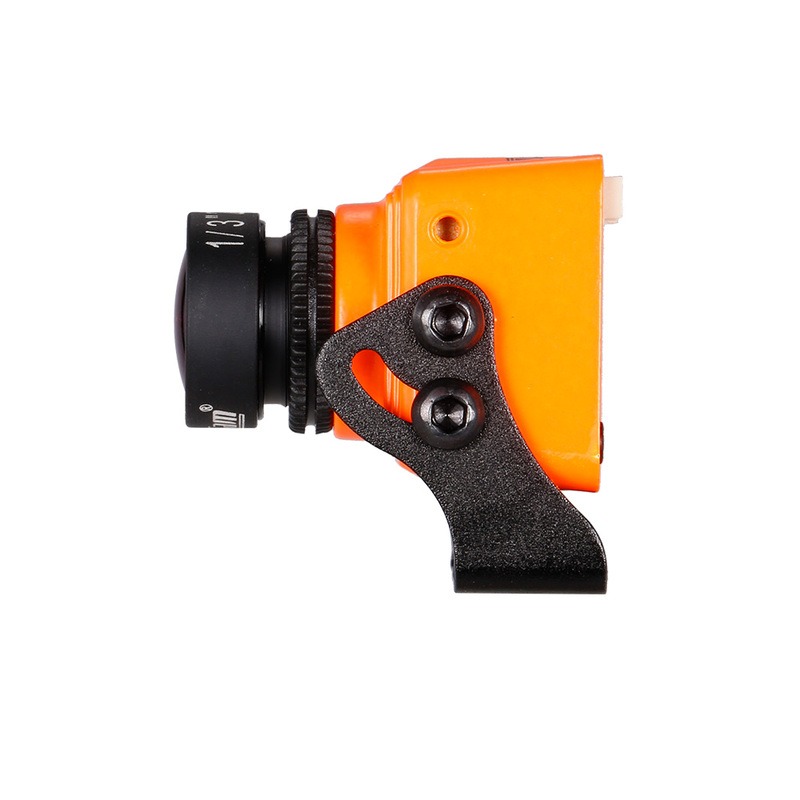 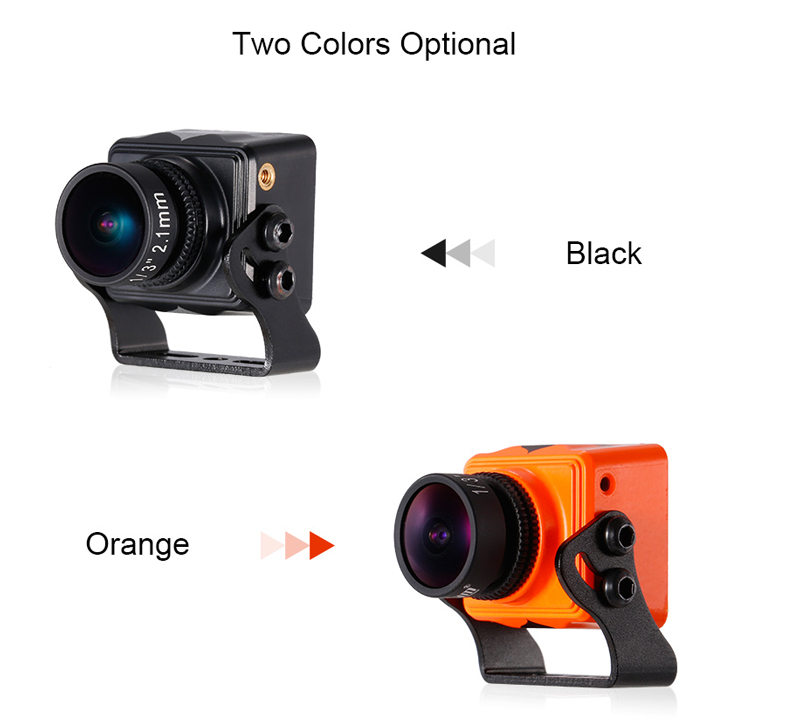 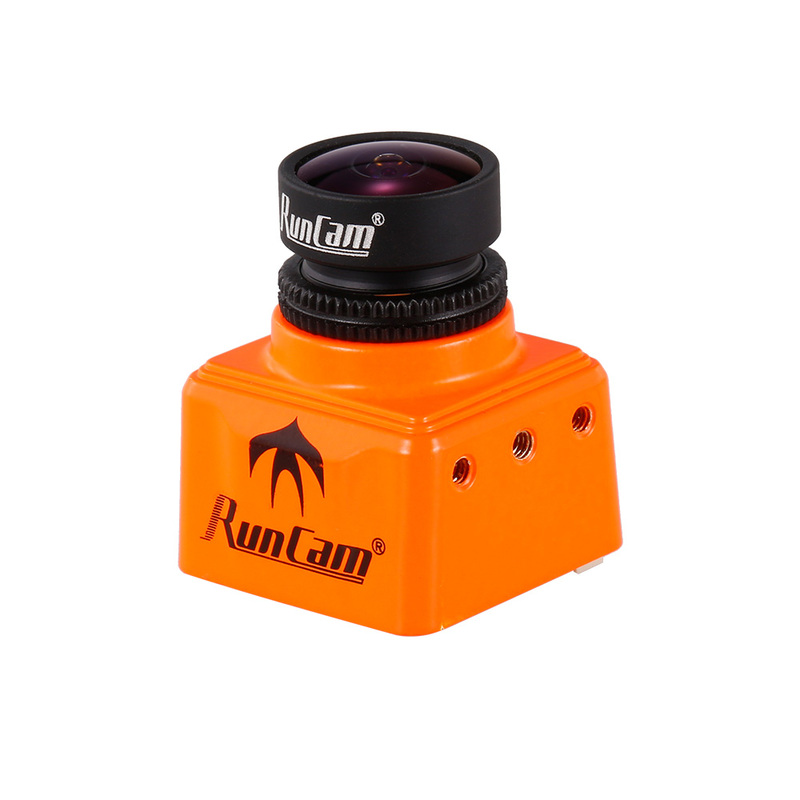 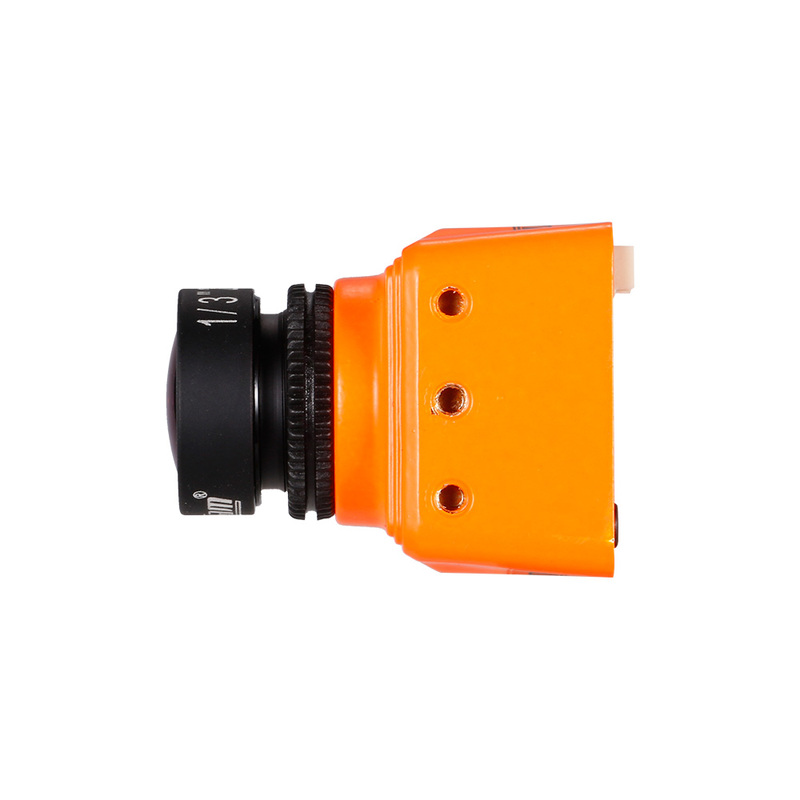 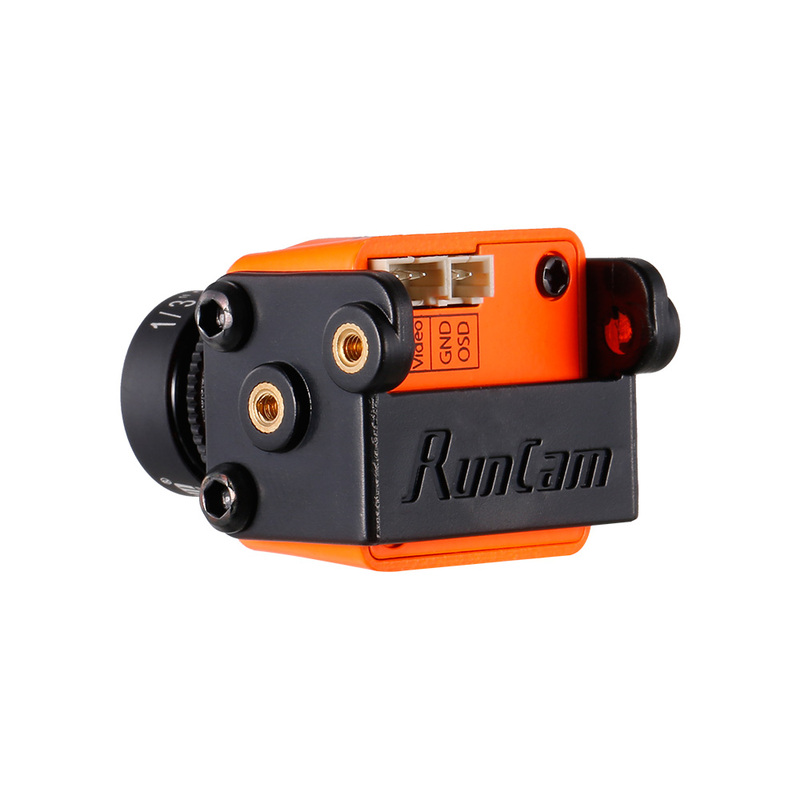 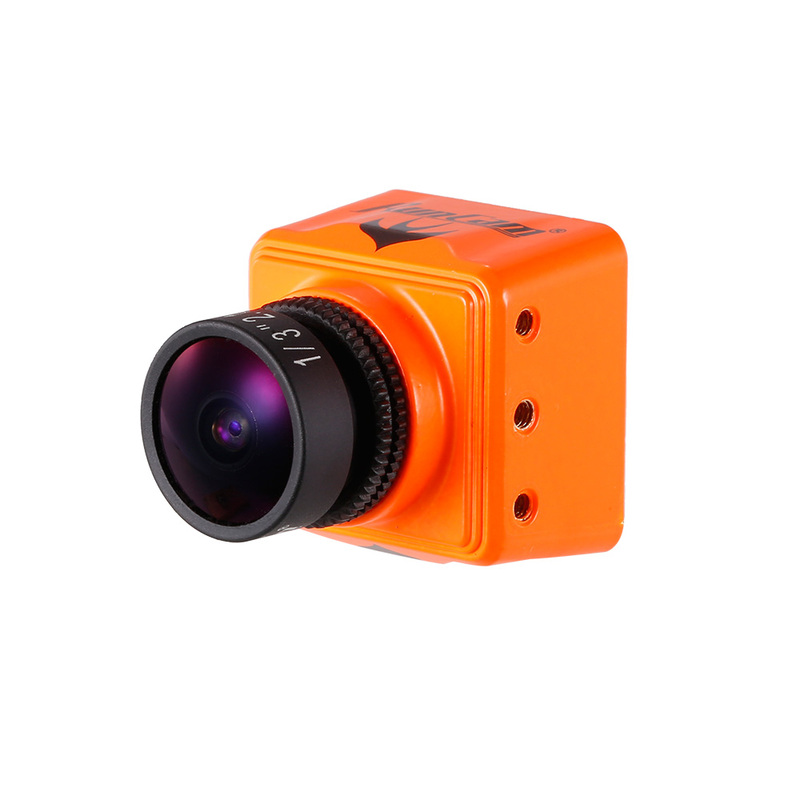 RunCam Swift Mini 600TVL FPV Camera 2.1mm Lens OSD DC 5-36V FOV 165 Degree PAL IR Blocked with Mount for Multicopter Racing Drone Quadcopter Aerial Photography. 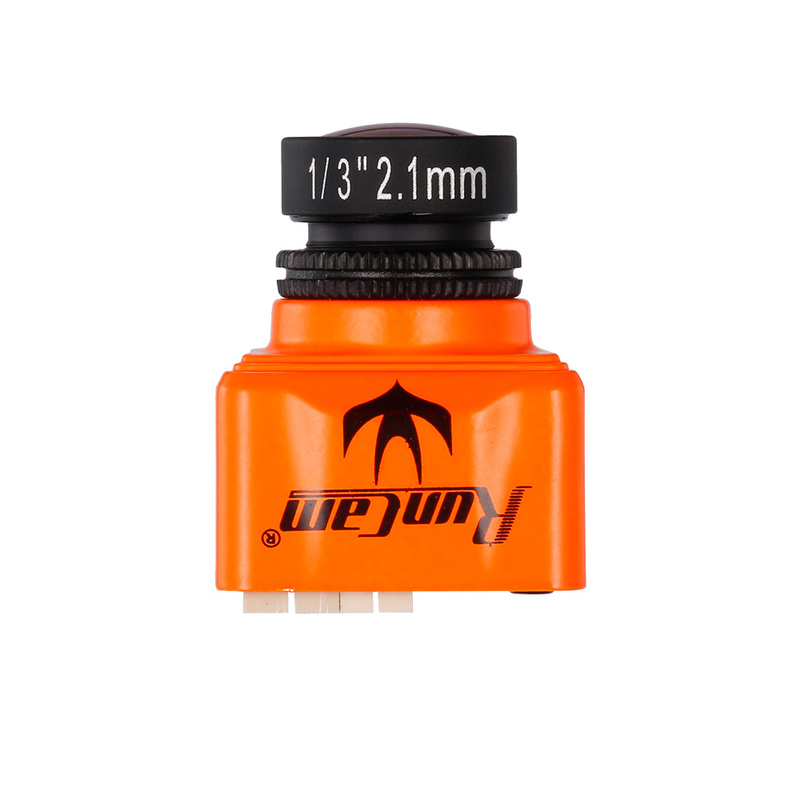 28 * 22.3 * 22mm, ultra small size, easy to install; weight about 13.5g, compatible with small frame FPV racing drone. 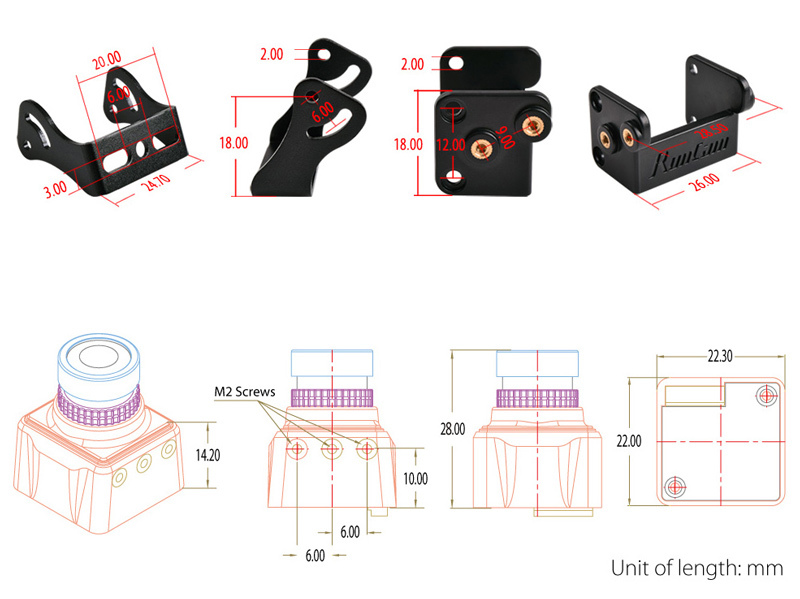 600TVL, IR Blocked, 5D-OSD menu cable, with 2 kinds of bracket. 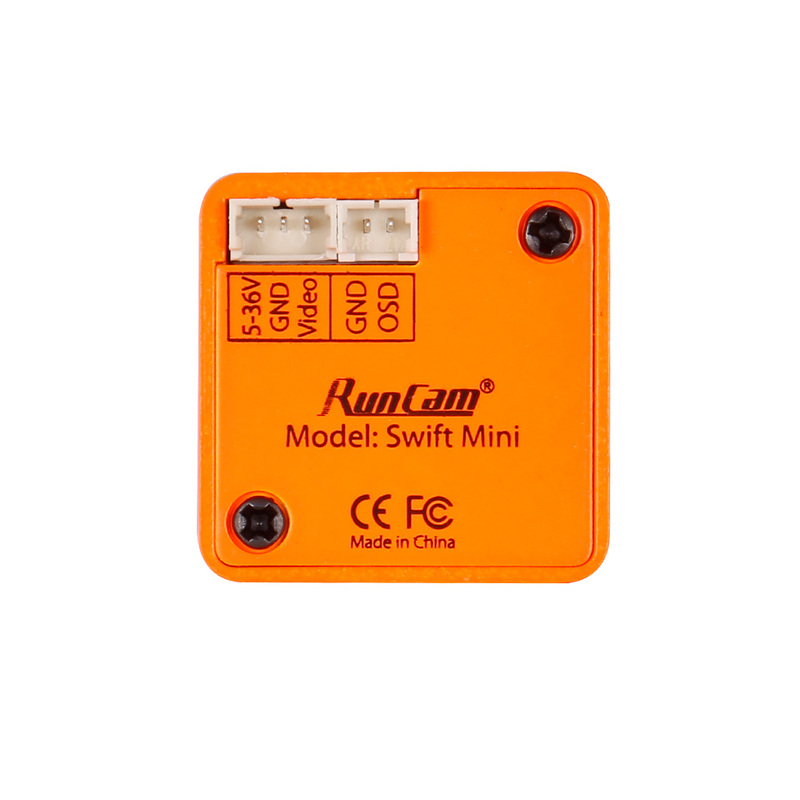 Support DC 5 to 36V wide voltage power input. 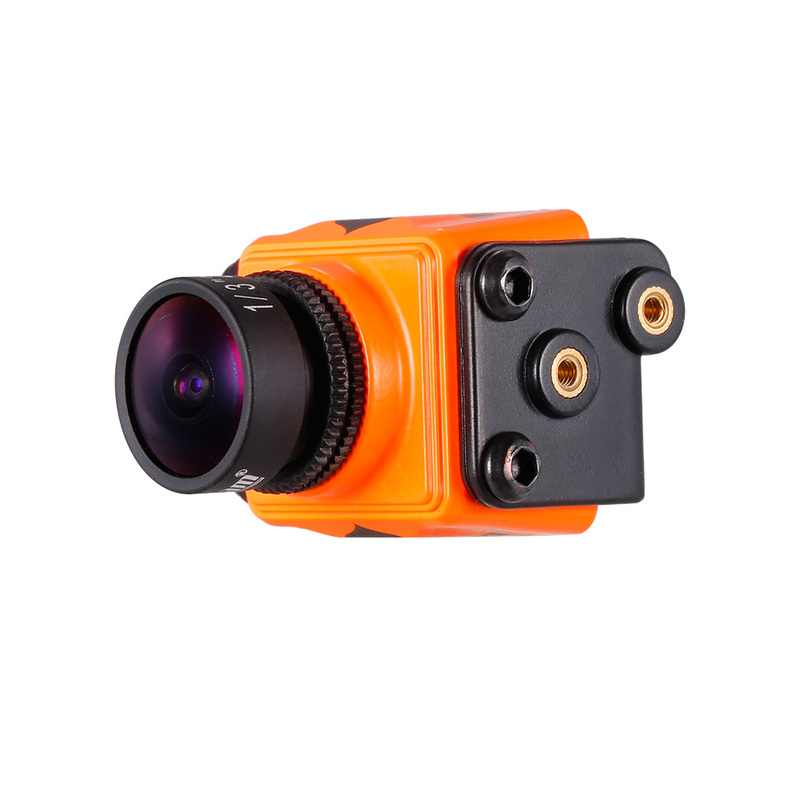 2.1mm wide angle lens, FOV 165°; 1/3" SONY Super HAD II CCD image sensor.